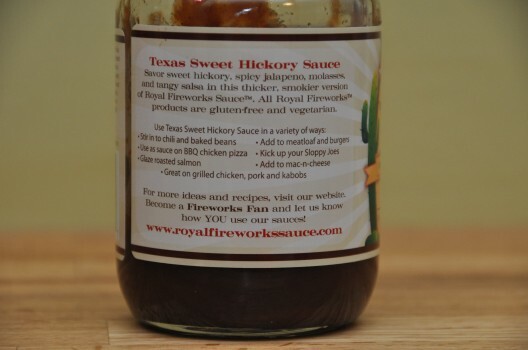 Royal Fireworks Texas Sweet Hickory is the third sauce in a series of sauces by Royal Fireworks and I’m proud to call a 5 star sauce. It does a great job providing the right stuff; i.e. 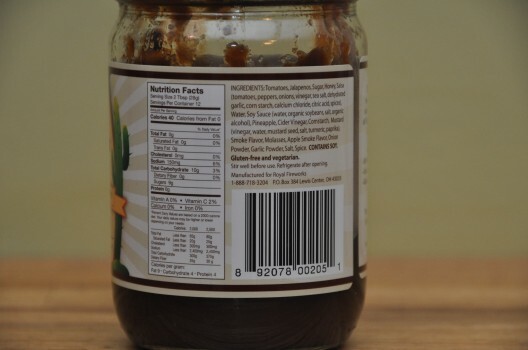 the special sauce, on both the outside and inside of the bottle. On the outside it tells you exactly what you are getting – something zesty, smokey, and sweet! The inside delivers that and does it perfectly. 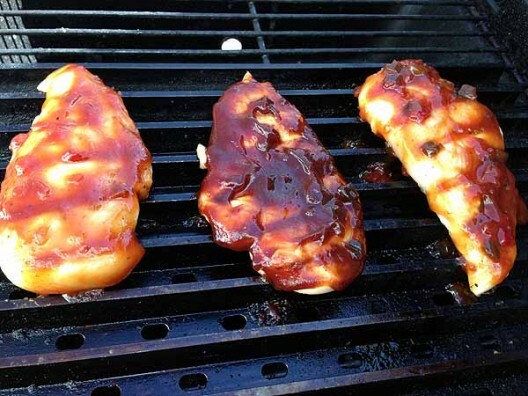 The sauce is easy to work with, grills well, and the color is nice too. One of my favorite sauces of this year so far. The Texas Sweet Hickory is the middle child in the above picture and the one that really nailed it for me. 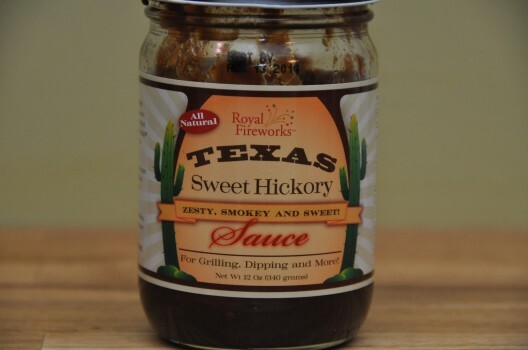 It’s a great sauce – thick and smoky and sweet and dark and rich – and it’s made with great ingredients. You gotta try it. If it is one of your favorites it must be good. It’s unusually good – I went through the bottle in about 3 days. With most sauces, I sample it, review it, and then throw away the remainder to clear out space for the next sauce. great review sir i am a lover of bbq sauces my self all tho i mostly only review hot sauces i do have some bbq in the line up but mostly spicy ones! Great review Brian! I bought some of this while we were up in Ohio. After reading your review I knew I had to get some! We all loved it! 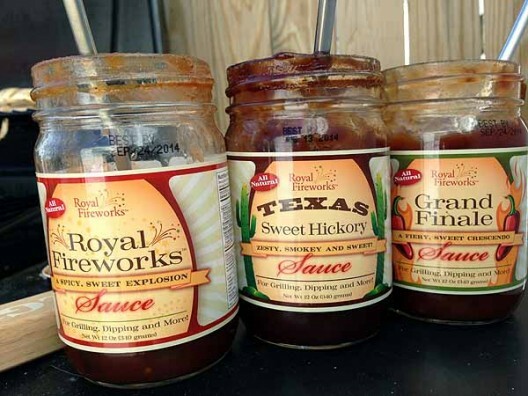 Royal Fireworks sauce is delicious.